Acai berries are rich in antioxidants (twice as much as blueberries), Vitamin B1, B2 and B3, and contain valuable essential Omega-6- and Omega-9 fatty acids. 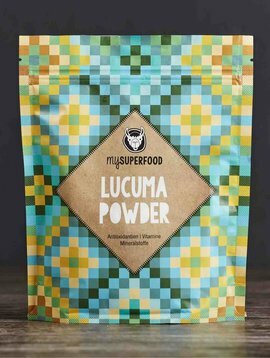 Due to many nutrients, acai powder is especially popular among athletes and those who value healthy nutrition. 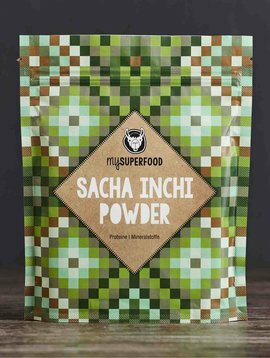 Acai powder has a pleasant fruity, slightly chocolaty taste and is perfectly suited for the use in smoothies, juice drinks, mueslis and desserts. 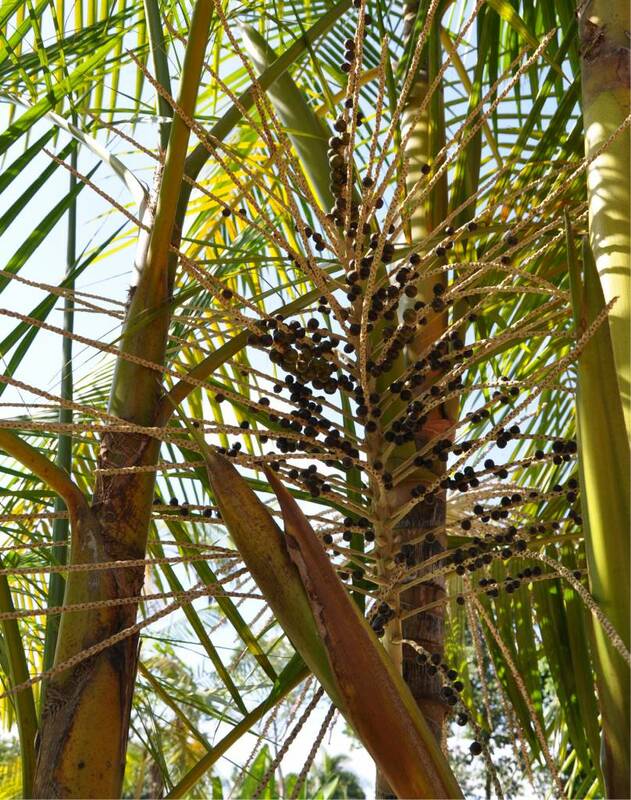 The blue acai berries grow on palm trees with a height up to 20 meters in the air. Thanks to their high content of antioxidants they are among the most nutritious foods ever. They strengthen stamina and increase resistance and performance. 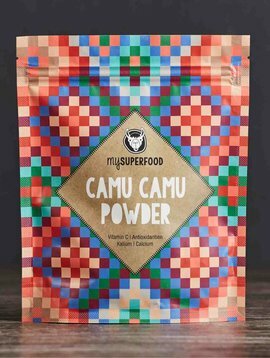 No wonder is Acai powder commonly used as dietary supplement among athletes and in diets. 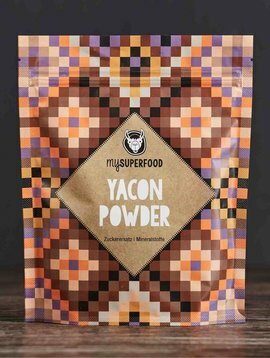 The phenols and coloring anthocyanins of Acai berry powder engage positively in the oxidation process and fight free radicals, which are responsible for the aging of the body. The mono and multiple polyunsaturated fatty acids (Omega-3, Omega-6 and Omega-9) are similar in structure to olive oil and should provide good protection for the cardiovascular system and affect cholesterol levels positively. 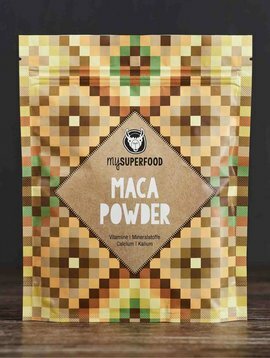 Acai powder is suited as “brain food“ as the essential fatty acids support brain function in combination with B-vitamins and antioxidants. There are also indications, that acai berries have a supporting role in the production and regeneration of stem cells. Acai berries also contain a large number of phytosterols, e.g. beta-sitosterol. 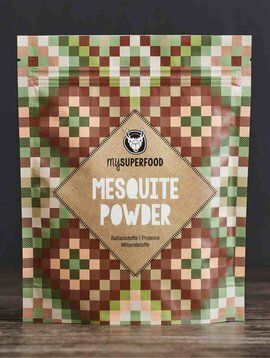 This is able to block the absorption of cholesterol after meat consumption. In this manner, phytosterols influence the fat metabolism positively by working as an opponent to cholesterol. Also good for diabetics: due to the low sugar content the blood sugar level does not rise particularly. 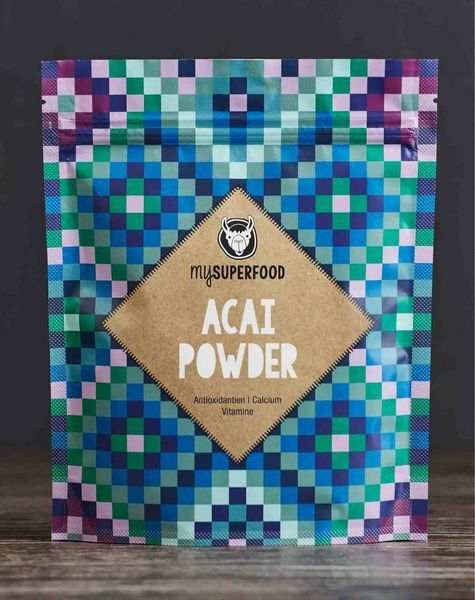 Conclusion: Acai berries help the immune system, bring your metabolism to speed and are useful for regeneration and rejuvenation of the body. 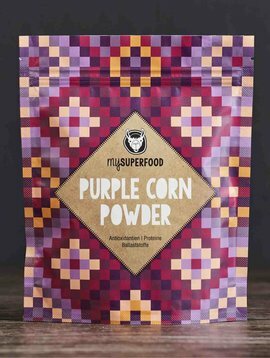 We buy our Acai powder directly from producers in Peru. 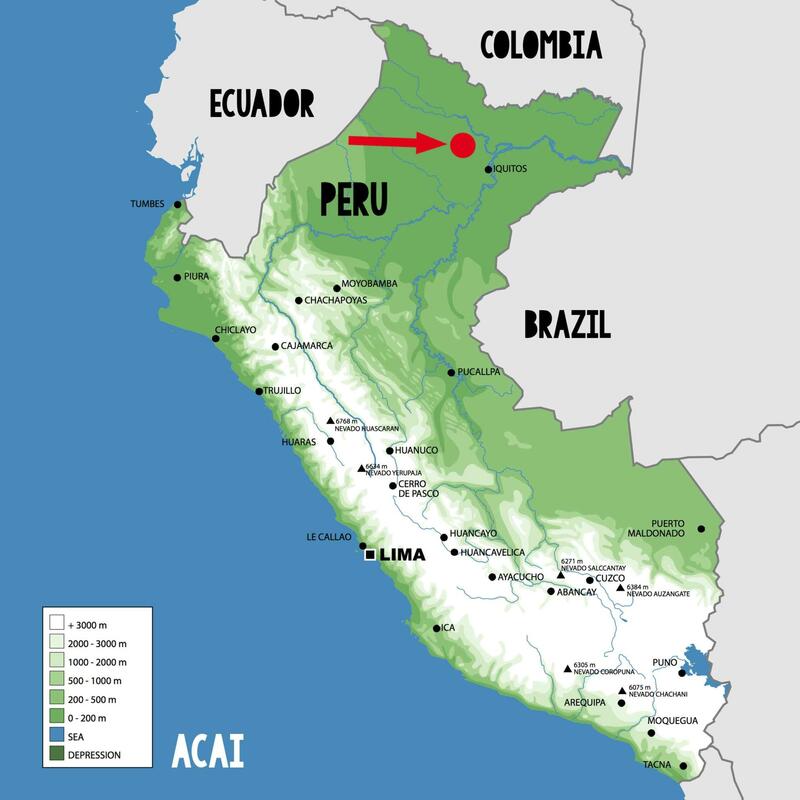 Our Acai berries are collected by natives in the Peruvian rain forest around the Amazon near the city of Iquitos and then processed very gently. Harvesting acai berries in the difficult to access rain forest requires endurance, courage and acrobatic talent. 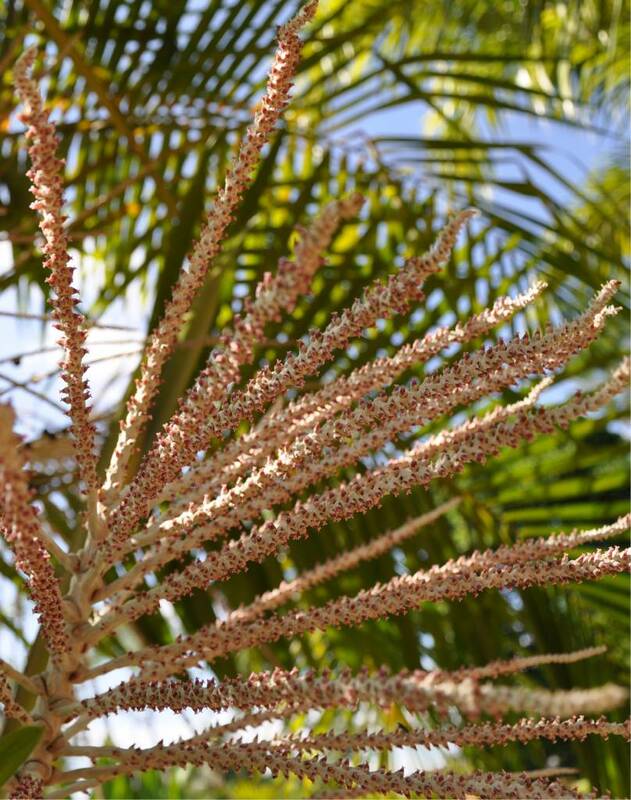 The fruits grow into grapes as heavy as 8 kg and are found in the crown of the acai palm, which can be up to 20 m high. Locals climb up the tree, cut the Acai berries off with their machete and careful bring them back to the ground. While climbing to the crown of the tree it is not rare to have painful encounters with aggressive ants, wasps, and tarantulas. On the ground the acai berries are picked from the branches and loaded into baskets for boat transportation on the tributaries of the Amazon river. Since the acai berries spoil rapidly in tropical temperatures, causing valuable ingredients to be lost, they are being transported immediately for further processing. In production the Acai berries are cleaned, washed and sorted. Subsequently the pulp of Acai berries is separated from the seeds, briefly pasteurized and dried. 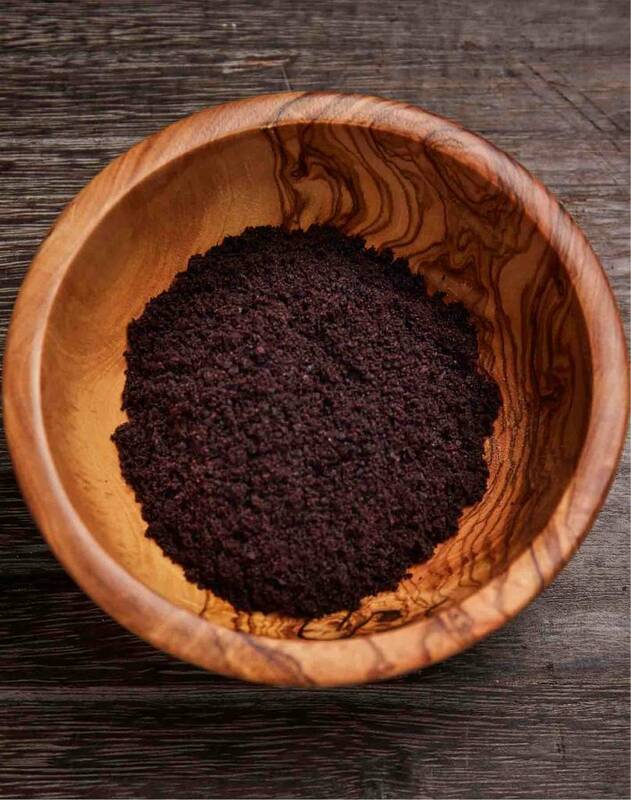 Gentle processing ensures that the valuable nutrients of Acai are preserved. 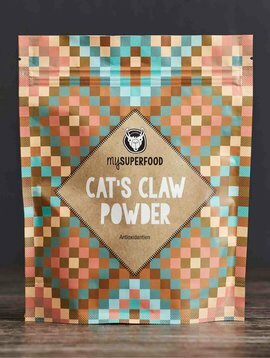 Acai powder is especially suitable for use in juices, mueslis and shakes, smoothies, ice cream or desserts. 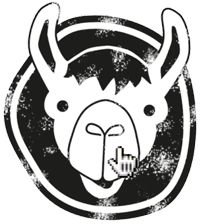 You can find various delicious recipes at the Rezepte page. Due to a high Omega-fat content Acai berries spoil very quickly, usually within 24 hours. Because of this they are transported for further processing as quickly as possible and then gently dried – most of us don’t have the opportunity to have an Acai berry palm tree in our gardens, as it can only grow near the equator in the Amazon basin on tropical wetlands in rich humus soil. Indigenous people use the oil of the fruit to remedy some illnesses, such as digestive disorders, skin ulcers and fever.